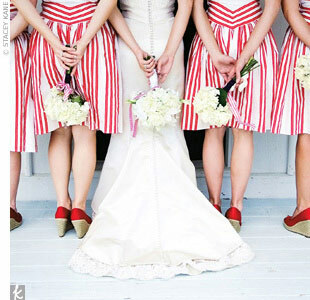 I think these red striped dresses are so fun! The red wedges are pretty cute too. Absolutely adorable! I love that the bouquet ribbons are striped as well! This is so cute, I love the photo. What a great idea for memorial day! 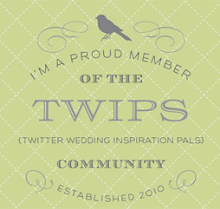 I love when bridesmaids where print! :) Hope you have a great day! Very very cute!! Love the stripes! How cute are these dresses! what a perfect memorial day wedding! !